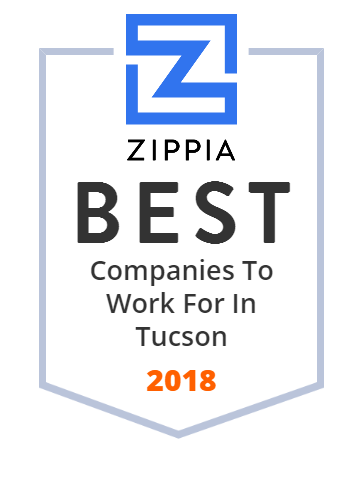 We hand-curated a list of the best companies to work for headquartered in and around Tucson, AZ using data on salaries, company financial health, and employee diversity. Long Realty Company has been in the real estate industry since 1928. With all the new technology that is being invested into their business, their goal is still the same and that is to provide good services for home buyers and sellers. Long Realty sales associates are knowledgeable professionals who get results for their clients. Tucson Electric Power provides safe and reliable power to Tucson residents. They also offer customers a wide range of programs to help them reduce their energy costs and build a better future. They provide reliable power to more than 417,000 customers in the Tucson metropolitan area. Pima Community College is a two-year college serving the greater Tucson metropolitan area. They have six locations throughout Pima County. This company was founded in 1966. They provide convenient, affordable, and accessible high quality education with the power to transform the lives of their students, and improve their community. The University of Arizona opened its doors in 1885 and had been producing graduates who are real-world ready since then. The institution ranks 21st among all public universities and brings more than $606 million in research investment each year. Their alumni include astronauts, media stars, actors, Olympic athletes, and Fortune 500 CEOs. Earhart Equipment Corporation specializes in offering new and used construction and agriculture equipment from industry leading manufacturers. Their clients include, New Holland, Mahindra, Kobelco, Mustang, Hyundai and others in Arizona. They offer quality machinery at affordable prices and providing their customers with top notch after sale product support. Sundt is a different kind of company. They are modern, innovative, and 100 percent employee-owned. They build projects in a collaborative environment, using best-in-class techniques to improve productivity, reduce costs, and deliver successful projects to their clients. Pima County /ˈpiːmə/ is a county in the south central region of the US state of Arizona. Leoni Wiring Systems, Inc. manufactures wiring harnesses for the automotive and commercial vehicle industry. The company was incorporated in 1994 and is based in Tucson, Arizona. Leoni Wiring Systems, Inc. operates as a subsidiary of Leoni AG. REhnu is commercializing solar energy generation technology developed at the University of Arizona's Steward Observatory Mirror Lab, a world leader in giant telescope optical design and manufacturing. Global Solar Energy provides cutting edge technology when it comes to making solar panels. The company culture places great value on the diverse perspectives from all their clients. Global Solar Energy provides resources for using flexible, lightweight solar energy panels. Serving the Western US and beyond, we supply sustainable asphalt emulsion solutions for pavement preservation, repair and recycling. CyraCom is a provider of language interpreter services to healthcare, and its interpretation and translation solutions are exclusively endorsed by the American Hospital Association and the American Dental Association. CyraCom bridges communication gaps for healthcare organizations that need rapid access to language assistance. Since its founding in 1952, Beacon Group has been providing employment-related opportunities to people with disabilities. The offer workshops, training, and access to real work for a segment of the community that bears a 70% of unemployment rate. The company serves over 2,100 disabled persons a year. Tucson celebrates a diversity of people, cultures, and architecture. This city has been continuously settled for over 12,000 years and is recognized as one of the "Mega-Trend" cities of the 21st century. Holmes Tuttle Ford is your source for new Fords and used cars in Tucson, AZ. Browse our full inventory online and then come down for a test drive. The J D Russell Co. The JD Russell Company is a leading manufacturer of quality construction materials and landscaping products. They are known for producing products that are not only efficient and high-quality, but also environment-friendly. Run your charity fundraisers online to reach more donors and raise more funds. Fully customizable to meet your organization's needs. Get started today!